Earlier we showed that chronic administration of engineered nanoparticles (NPs) from metals, e.g., Cu, Ag, or Al (50–60 nm, 50 mg/kg, i.p. daily for 1 week) alter blood–brain barrier (BBB) disruption and induce brain pathology in adult rats (age 18 to 22 weeks). However, effects of size-dependent neurotoxicity of NPs in vivo are still largely unknown. In present investigation, we examined the effects of different size ranges of the above-engineered NPs on brain pathology in rats. Furthermore, the fact that age is also an important factor in brain pathology was also investigated in our rat model. Our results showed that small-sized NPs induced the most pronounced BBB breakdown (EBA +480 to 680 %; radioiodine +850 to 1025 %), brain edema formation (+4 to 6 %) and neuronal injuries (+30 to 40 %), glial fibrillary acidic protein upregulation (+40 to 56 % increase), and myelin vesiculation (+30 to 35 % damage) in young animals as compared to controls. Interestingly, the oldest animals (30 to 35 weeks of age) also showed massive brain pathology as compared to young adults (18 to 20 weeks old). The Ag and Cu exhibited greater brain damage compared with Al NPs in all age groups regardless of their size. This suggests that apart from the size, the composition of NPs is also important in neurotoxicity. The very young and elderly age groups exhibited greater neurotoxicity to NPs suggests that children and elderly are more vulnerable to NPs-induced brain damage. 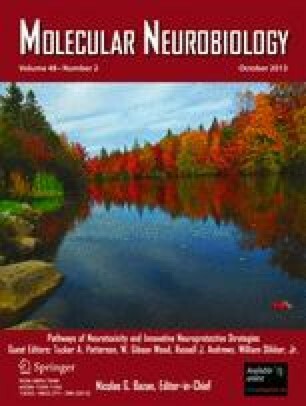 The NPs-induced brain damage correlated well with the upregulation of neuronal nitric oxide synthase activity in the brain indicating that NPs-induced neurotoxicity may be mediated via increased production of nitric oxide, not reported earlier. This investigation is partially supported by the Air Force Office of Scientific Research (London), Air Force Material Command, USAF, under grant number FA8655-05-1-3065. The US Government is authorized to reproduce and distribute reprints for Government purpose notwithstanding any copyright notation thereon. The views and conclusions contained herein are those of the authors and should not be interpreted as necessarily representing the official policies or endorsements, either expressed or implied, of the Air Force Office of Scientific Research or the US Government. Financial support of Swedish Medical Research Council (grant no. 2710, HSS); Astra-Zeneca, Mölndal, Sweden (HSS), Alexander von Humboldt Foundation, Germany (HSS); India-EU Research Co-operation (AS/RP), Ministry of Science and Technology, govt. of India, New Delhi, India (AS/RP); and University Grants Commission, New Delhi, India (HSS); Indian Council of Medical Research, New Delhi, India (HSS) is gratefully acknowledged. The authors have no conflict of interest with any agencies mentioned above.